Novice, Intermediate, Expert? What kind of Skier are YOU? 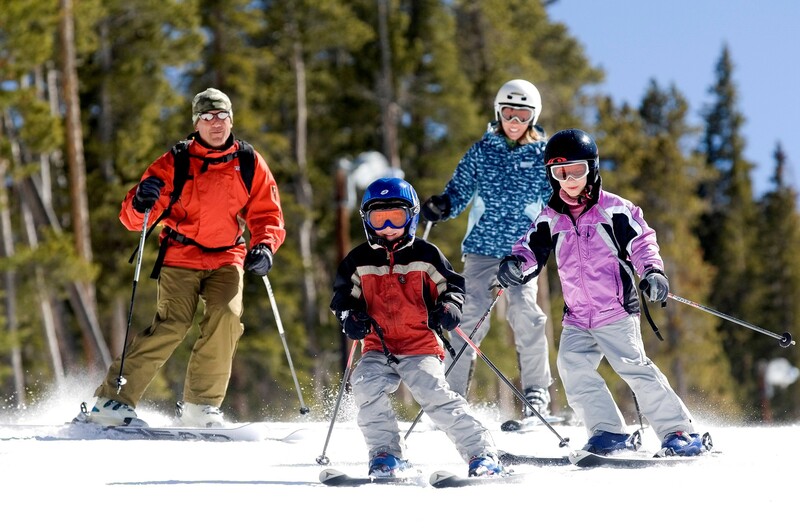 If you gracefully glide down a mountain with the dexterity of a gazelle or you spend most of the time falling on your back, we can help you figure out what your skiing skill level is. For those of you in-between, you can determine your skill level with these basic guidelines. • You can make strong parallel turns in various conditions with the ability to make short and long radius turns, enjoying speed and carving turns. • You are enjoying trying blacks and moguls but want to progress more. • You are a confident skier and have skied many different resorts, you are more aware of equipment and what it can do for you. You want to ski either high-speed carving turns, develop all mountain freeride technique, or explore doing tricks in the park. • You have the ability to ski on and off piste (groomed run) and probably looking to own your own all-mountain skis to take you anywhere because you are confident and comfortable doing so. • You can deal with any terrain and conditions, you are possibly an instructor or professional, or backcountry powder hound. McCauley Mountain’s 633 vertical foot drop contains all the skiing boasted by ski areas three times its size. From long cruisers to steep bumps and glades, to double-black diamond challengers, McCauley has it all. Twenty-one slopes and trails up to a mile long, a double chairlift, two T-Bar lifts, and rope tows. Skiers moving out of the beginner ranks get a big bonus: McCauley offers accommodating trails from the summit. Everyone gets up in skier country to enjoy the views which extend all the way to Whiteface and Mt. Marcy in the high peaks region. It’s “big mountain” skiing without the long lift lines and high prices. We invite you to Come Play in our Snow and take advantage of Old Forge Camping Resorts Winter Stay N Play Package, which includes overnight accommodations at a discounted rate! Book Two Nights Sunday – Thursday in a Cabin or Cottage, get One Night FREE!, Book One Night Sunday-Thursday in a Cabin or Cottage, get One Night 50% off!, or Book with us Friday and Saturday in a Cabin or Cottage and get 50% off on Sunday!